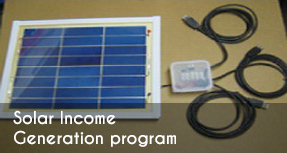 In the donation and support of International Company and National organization the vulnerable and low caste community has been lighted by solar power. The 22 household of Hile Village has got free source of light because the National grid line has not been access. Renewable Energy for Clean Environment and Development (RECED) is a non governmental, non profit, non political, social organization registered in the Chief District Office (CDO) of the Nepalese Government with the registration number 614/ 2063/2064 and affiliated with Social Welfare Council (SWC) . The organisation has been established by an experienced social workers group with the objective of addressing rising global pollution and simultaneously improving the livelihood of rural communities by combining income generation programs and small-scale volunteer projects with the deployment of renewable energy technologies. To mitigate the CO2e and improve the quality of life in rural community by combining renewable energy technologies (RETs). 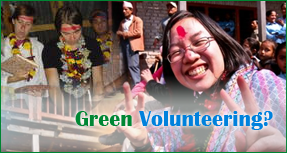 To provide volunteering opportunities in a rural community whilst experiencing the natural and cultural beauty of Nepal. To provide support and opportunities for able and motivated students to conduct field and official based research focused on the use of renewable energy technologies to uplift the livelihood and benefit the environment. To design and implement development programs amongst rural communities by mobilizing local resources in order to improve the economic conditions of the people. To disseminate the information about the environment, health, and other awareness programs through documentary, posters, pamphlets and drama. © 2010 RECED. All rights reserved.